Last year West Fest attracted an estimated 60,000 people, and this year's awesome music lineup makes it more than likely that the crowd will top that number. The festival takes place on Sat 7/13 and Sun 7/14 along Chicago between Damen and Wood, with a Main Stage produced by the Empty Bottle and a DJ Stage whose bookings reflect a "Chicago house" theme. 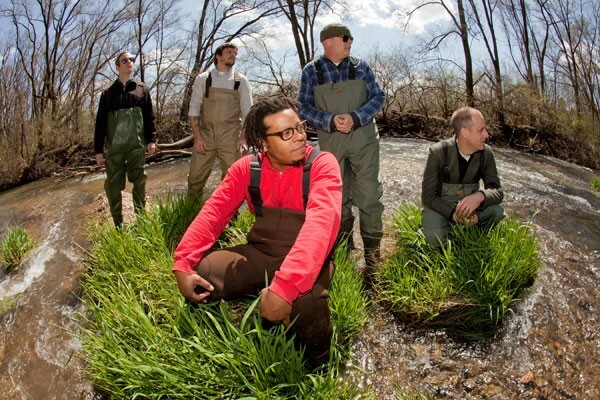 Saturday on the Main Stage, Chicago postrock godfathers Tortoise headline, with openers including electronic duo Javelin, countrified Nashville rockers Those Darlins, and multifarious 60s girl-pop tribute band Girl Group Chicago. On Sunday night, Memphis garage-trash legends the Oblivians (see Soundboard) headline the Main Stage, after Canadian indie band Born Ruffians, the outrageous gay dance-pop of Baathhaus, raucous rock 'n' roll from Tight Phantomz and Redgrave, and more. Among the artists on the DJ Stage are Superjane Sweet 16, Jesse de la Peña, and the Black Madonna (on Saturday) and Derrick Carter, Diz, and Jevon Jackson (on Sunday). Music starts at 1 PM on both days, and the fest shuts down at 10 PM. The Kid Fest, at Wolcott from noon to 6 PM, includes carnival games, train rides, martial arts demos, b-boy dance battles, electronic drum circles, and live music from the Environmental Encroachment marching band and others. It's adjacent to Pup Fest, where dog-centered fun and games will raise money for five animal-rescue centers; it will undoubtedly be as adorable as it is barky. Tortoise/ Can they outrun the backlash?